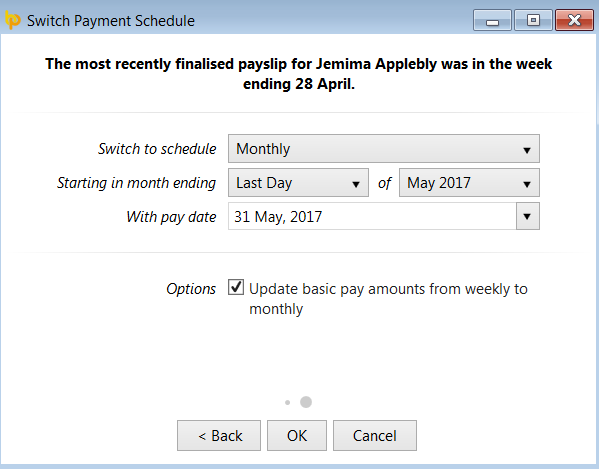 BrightPay facilitates the switching of an employee’s pay frequency should this be required. 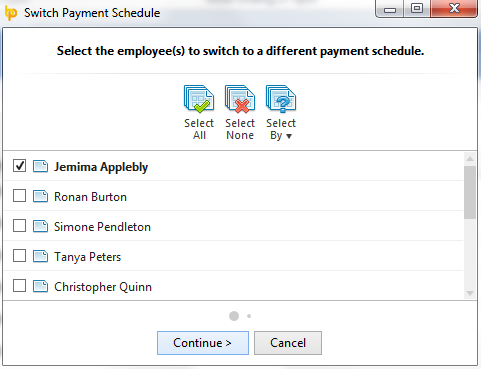 If you currently have no employees in the pay schedule you are switching to, enter in your ‘starting in’ date and ‘pay date’ required. 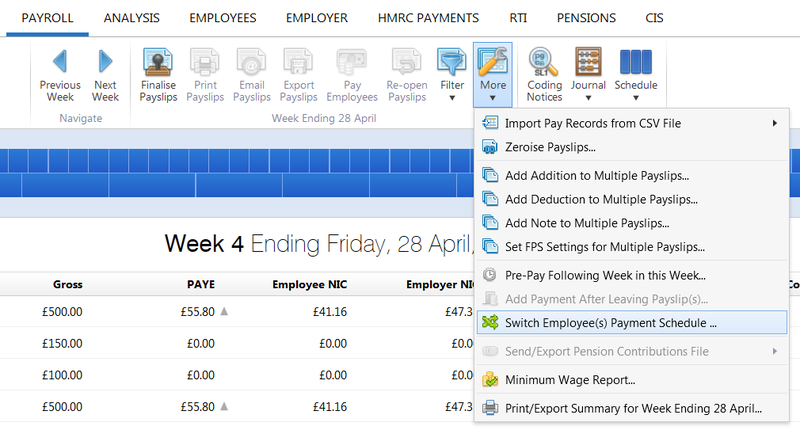 If you wish to update the employees’ basic pay amounts, also tick this option. 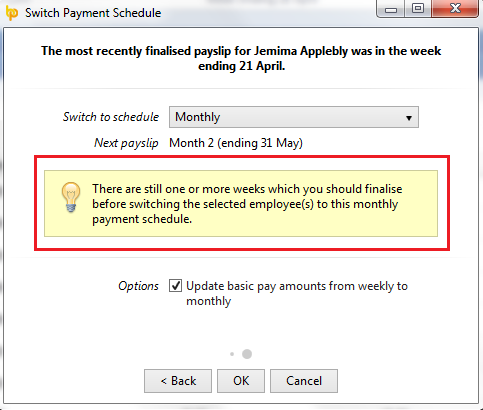 Click 'OK' to complete the switch of pay frequency. Important Note: Care should be taken that pay frequencies are aligned when switching an employee from one pay frequency to another. 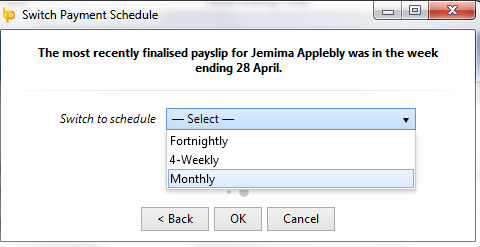 Weekly paid employees should only be switched to a monthly pay frequency when the week ending date in the current open weekly pay period is in line with the month you are switching to.